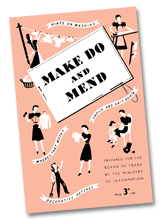 A fascinating selection of reprinted WWII Ministry of Information booklets. 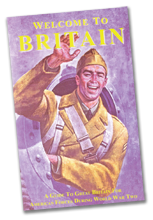 This booklet was issued to American forces in an attempt to get them acquainted with the British, their country, and their ways, and avoid some of the more obvious misunderstandings that could easily occur without at least a little knowledge of the strange and wonderful British customs. This faithfully reproduced book originally produced in 1943 is often quoted and mentioned in modern reference books. 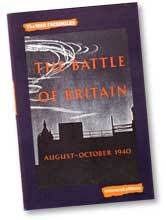 Now it is available for all those interested in the Second World War British Home Front. With 32 pages and 29 illustrations its as fascinating today as when it was first published. The War Facsimiles are exact reproductions of illustrated books that were published during World War ll. They were produced by the British government to inform people about the progress of the war and the home-defence operations. 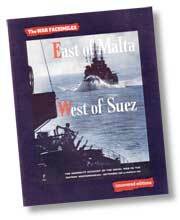 The War Facsimiles form part of the highly praised uncovered editions series. Both sets for books taken directly from the archive of The Stationary Office in London. 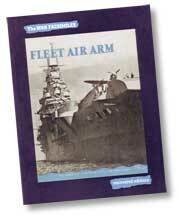 The admiralty account of Naval Air Operations. (First published in 1943). The admiralty account of the naval war in the eastern Mediterranean: September 1939 to March 1941. (First published in 1943).